The Dynamixel AX-18A Replacement Gear Set replaces worn gears to keep your AX-18A smart servo running smoothly. The gears of your Dynamixel AX-18A smart servo can wear out over time. 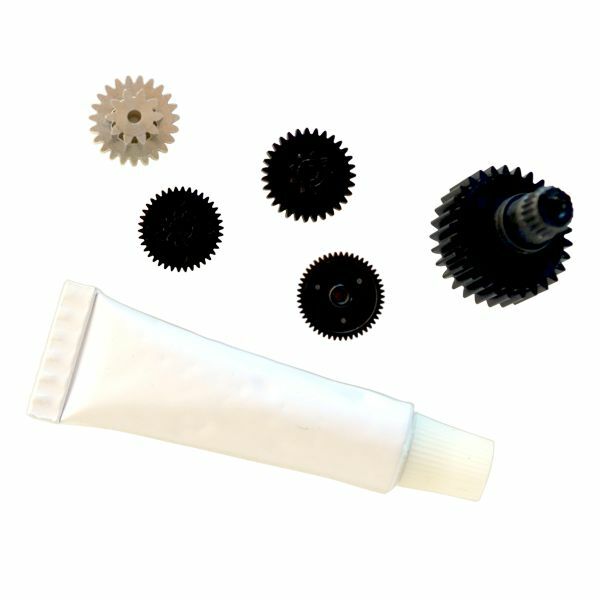 This set of replacement gears is used to maintain the high quality of your AX-18A smart servo. This set includes 4 plastic gear pieces, 1 aluminum gear piece and a tube of lubricating grease.